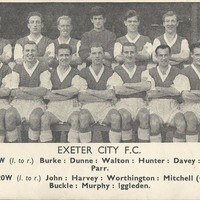 Exeter City's squad photograph from the 1955/56 season. 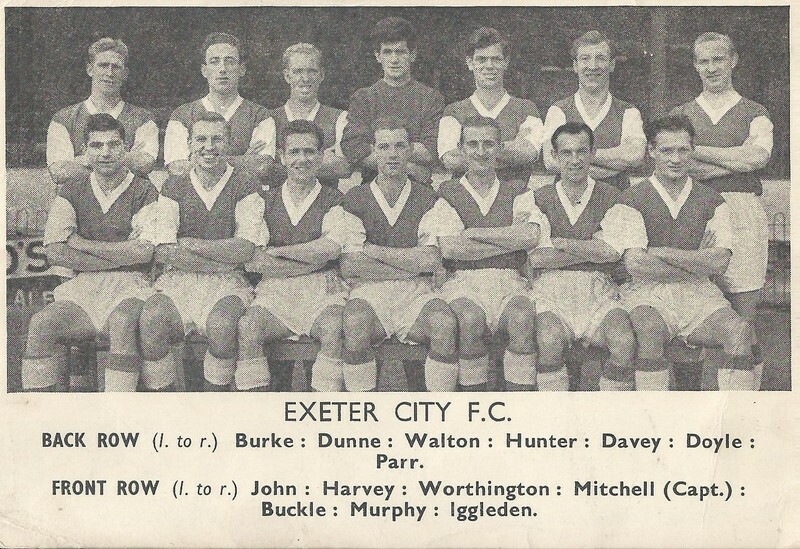 Exeter finished the season in 16th position in Division Three South, and enjoyed an FA Cup run to the Third Round Proper, exiting after a replay defeat to Division Two side Stoke City. 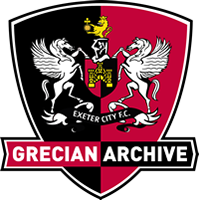 First Round: Coventry City (A), 0-1. 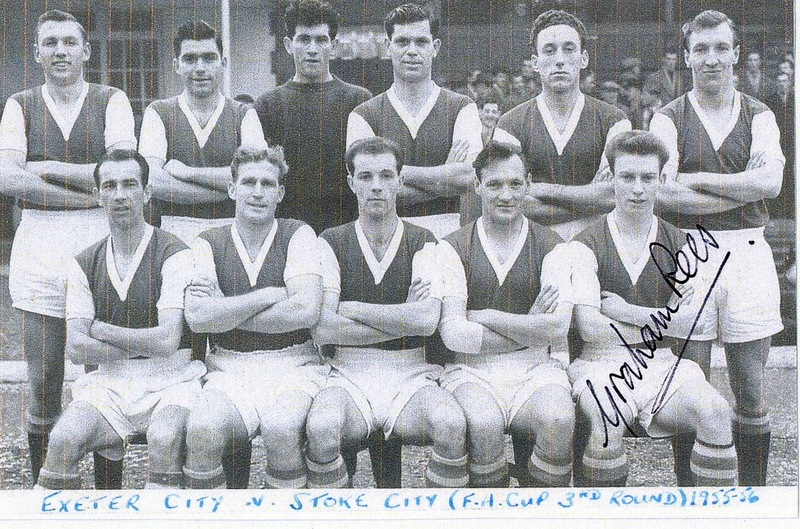 Second Round: Hendon FC (H), 6-2. 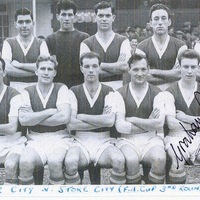 Third Round: Stoke City (H), 0-0. Replay (A), 3-0.